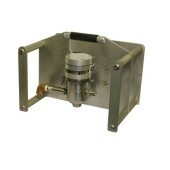 40,000 psi (2750 bar) air-actuated control valve for use in the Tornado Cleaning System. Configurable for single or multiple gun operations. Self-contained valve cartridge for 60 second rebuild.